General Hospital spoilers confirm from Brooklyn Rae Silzer herself, that she is returning to GH as Emma Scorpio-Drake. The young actress posted a picture of herself on the General Hospital set on Instagram. She commented, “Best day!! My Christmas wish came early!! Super grateful!” Brooklyn Rae is incredibly excited to be back. Last time we saw Emma Scorpio-Drake, she joined in on a WSB mission. She tagged along with her grandmother Anna Devane (Finola Hughes) and Jason Morgan (Steve Burton). This time she’ll be back to celebrate the holidays with her family. However, there may be more in store for her. Fans love when Emma is on-screen so this is great news. 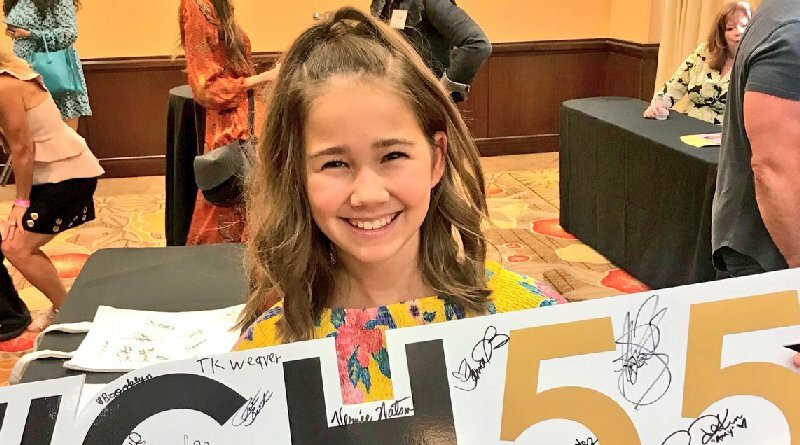 General Hospital Spoilers – When Is Brooklyn Rae Silzer Back? General Hospital spoilers promise that fans can expect to see Emma Scorpio-Drake back on their screens sometime in December. Emma is likely coming home to see her loved ones for Christmas. She is connected to many people in Port Charles and they will be ecstatic to see her. Since GH films a few weeks out, we can expect to see her before the winter holiday. Mac Scorpio (John J York) and Felicia Jones (Kristina Wagner) love Emma and will be thrilled to see her for the holidays. Because of all the heartbreak going on in Port Charles, a little ray of sunshine will be welcomed. Certainly, her good friend Josslyn Jacks (Eden McCoy) will be happy to see her as well. Eden McCoy is happy to be working with Brooklyn Rae again judging by the tweet below from the General Hospital set. GH Spoilers – What’s Next For Emma Scorpio-Drake? General Hospital spoilers suggest a couple of different storylines for Emma Scorpio-Drake. She loves being involved in her grandmother Anna Devane’s missions. 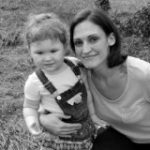 Therefore, there’s a possibility that Emma could assist Anna in her quest to bring Liesl Obrecht (Kathleen Gati) to justice. Inevitably, Anna is going after Dr. O to keep her son Peter August (Wes Ramsey) safe. After all, Peter is her long-lost uncle so she may want to help. Emma may also be brought into the storyline of Aiden Spencer (Jason David). GH spoilers recall that Aiden is being bullied by Charlotte Cassadine (Scarlett Fernandez). Emma Scorpio-Drake is friends with Elizabeth Webber’s (Rebecca Herbst) kids. If she finds out that Aiden is being bullied she may decide to step in. Maybe Emma can talk to Charlotte and get to the bottom of her behavior. There are many possibilities for Emma Scorpio-Drake on General Hospital but one thing is for sure. Fans will be overjoyed to have her back on their screens for the holidays. Robin Scorpio (Kimberly McCullough) told her new brother Peter about him getting to know her kids. Peter wants a family more than anything, so those scenes could be heart-warming. He dotes on his infant nephew and wants more family around. Tune in to ABC weekdays to see Brooklyn Rae Silzer in action on GH. Stay with Soap Dirt for all the latest General Hospital spoilers, news, and leaks. ‘General Hospital’ Spoilers: Michael and Chase Compete for Willow’s Heart – Who Will Win? ‘General Hospital’ Spoilers: Time’s Up For Valentin – Sasha or Obrecht Spills The Truth?